Union Minister Maneka Gandhi on Thursday sought External Affairs Minister Sushma Swaraj's help in bringing back a 16-year-old Hyderabad girl to India, who was tricked into marrying a 75-year-old man from Oman for Rs. 5 lakh. Gandhi took to Twitter and expressed grief on the incident asserting, "Have asked the Commissioner of Police, Hyderabad, to investigate the case and identify the persons who forced this illegal marriage". The Union Minister further took to microblogging site and stated, "I would request @SushmaSwaraj to intervene and bring the girl back to India from Oman". Maneka Gandhi has also asked the Hyderabad's Commissioner of Police to investigate the case and identify the persons who forced this illegal marriage. She has directed the National Commission for Protection of Child Rights (NCPCR) to contact the family members of the victim girl. Have asked the Commissioner of Police, Hyderabad, to investigate the case and identify the persons who forced this illegal marriage. Replying to Gandhi's tweet, the Indian Embassy in Oman had sought more details about the accused Omani national to take up with Omani Ministry of Foreign Affairs. We need more details of Omani national, name, passport number, to be able to take up with Omani Ministry of Foreign Affairs. 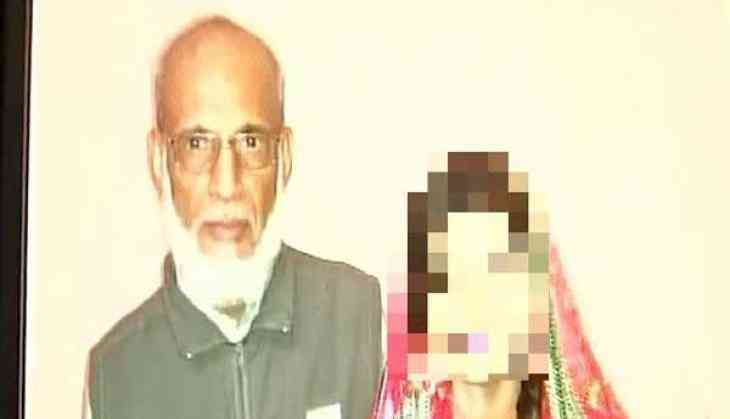 A 16-year-old schoolgirl from Hyderabad was reportedly married off to a 75-year-old Sheikh from Oman three months ago for a sum of Rs. 5 lakh. Yesterday, the photos of the wedding were handed over to the police by the girl's parents. The teenage girl's mother accused her sister-in-law and sister-in-law's husband of having committed the crime for a sum of Rs 5 lakh. She pleaded with the police to help her bring back her daughter from Muscat. The mother of the girl said that her daughter cried every time she spoke to her over the phone and told her that she wanted to return home soon as possible. "I spoke directly with the Omani national who married my daughter. He is saying that he paid Rs. 5 lakhs to Sikander (brother-in-law) and his wife and purchased my daughter and wants that money back, then only he will send back my daughter," the woman said in her complaint.